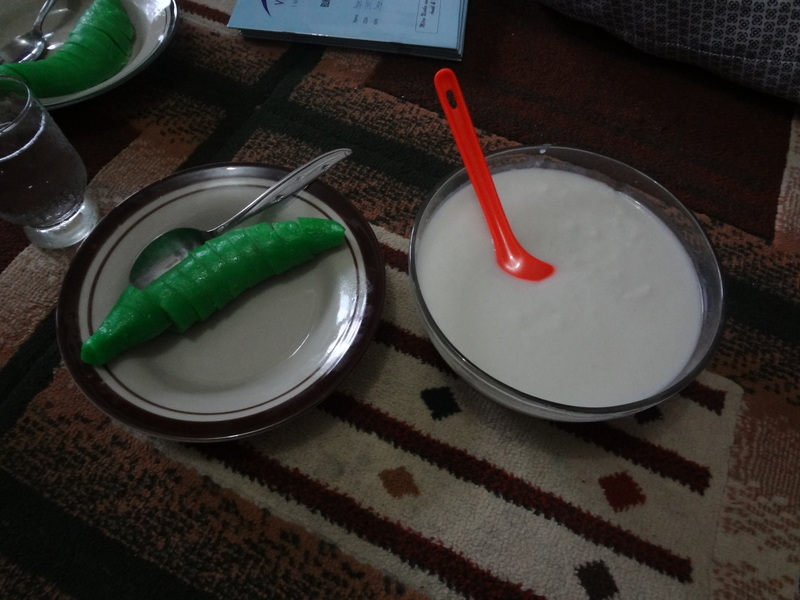 Es PIsang Ijo, banana in a green “robe” served with delicious coconut cream. Hugs and kisses from ebullient borrowers, group photos with the goofy-looking bule (Indonesian for “foreigner”), plantains in green robes — all good stuff. Even more rewarding, though, are the glimpses into how individuals and their loans fit into the local culture and economy. 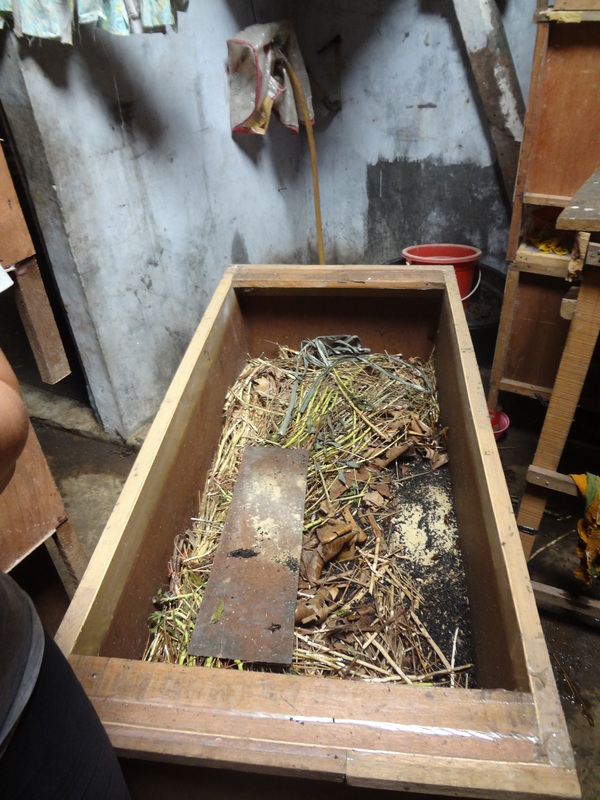 Take, for example, my recent visit to Ibu Nuryinah, a borrower with Kiva partner (and my host) VisionFund Indonesia. In preparing for my meeting with Nuryinah, I was intrigued to see that she planned to use her loan “to pay for materials to make a cricket cage.” While I had visions of a sort of batting cage for cricket players, the fact that the loan was listed as “agricultural” suggested a different kind of business and a different kind of cage — cricket cages of the insect variety. One of 120 cricket cages in a single room. Close your eyes and you’d never guess you were in urban Jakarta! Because she seems to be passionate about her business, I found it interesting that she was something of an accidental entrepreneur. I’ve been pondering the role of “enterprise” in microfinance recently; while microcredit has traditionally emphasized entrepreneurial endeavors, critics have observed that everyone is not born an entrepreneur. Particularly in areas where the formal economy is weak, running a small business may be a function of limited opportunities rather than an expression of entrepreneurial zeal. In that light, I was intrigued to hear how Nuryinah had recognized and seized an opportunity to enter a niche market; within a fairly short period of time, she has not only acquired specialized expertise, but has also developed and expanded her business. While her entry into this specialized agricultural sector may have been unplanned, Nuryinah brings a visible passion to her acquired trade. 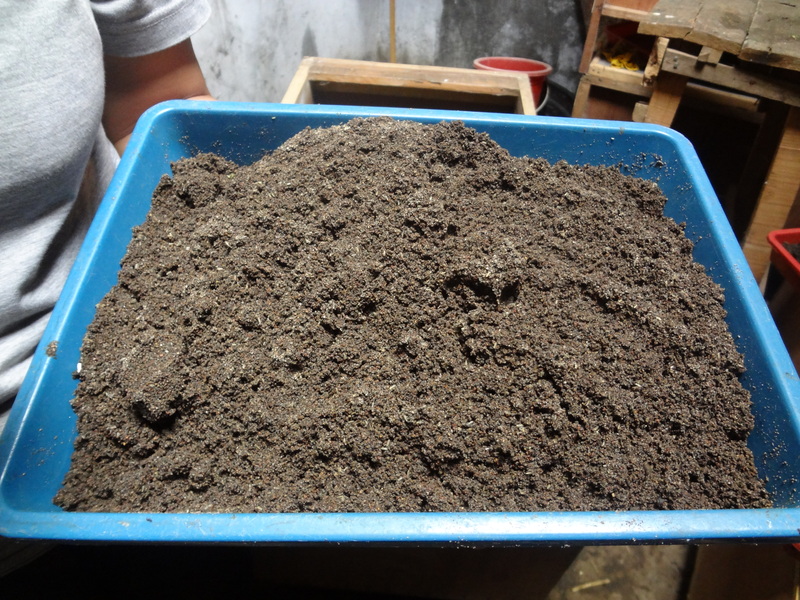 It strikes me that she’s a natural enterpreneur even if an “accidental” cricket farmer. We toured the cricket cages, and Nuryinah provided an animated explanation of cricket reproduction and development, showing off soil samples with crickets at various stages of development. All very cool and interesting. Still, where’s the money in crickets? Heather Sullivan is a Kiva Fellow stationed in Jakarta, Indonesia, working with VisionFund Indonesia. Join others lending to Indonesia entrepreneurs, join the Indonesia lending team. Entry filed under: KF17 (Kiva Fellows 17th Class). Tags: Agriculture, borrower, crickets, Indonesia, jakarta, Kiva, lender, VisionFund Indonesia.